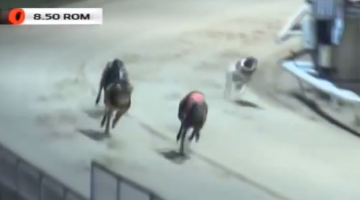 Yvonne Gaskin was thrilled by the 14.58 track record set by kennel star Chopchop Hope for the 238m course at Harlow on Wednesday night. 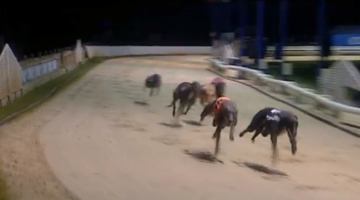 It was her 14th open race win of the year and ‘the Queen of Romford’ is now back to her best. The time was one spot inside the previous best recorded by Jumeirah Maximus. Yvonne said: “She damaged a shoulder and and was off for a while then wasn’t trapping as well as she can. But she looks back to her old self now. On the subject of ‘ideal tracks’ Yvonne was delighted to see the major renovation work at Romford. As predicted by Jason Begg when he was relaying the new circuit, it will take a while for the new surface to bed in. Yvonne said: “There haven’t been many winners from trap one so far but the track staff are absolutely drenching the track between races. It is simply being sucked in like a sponge. I think it needs a period of heavy rain. Yvonne’s father in law Ernie Gaskin senior, the former open race trainer/breeder and keen coursing enthusiast, retains an interest in racing and is regularly updated on progress by his son.